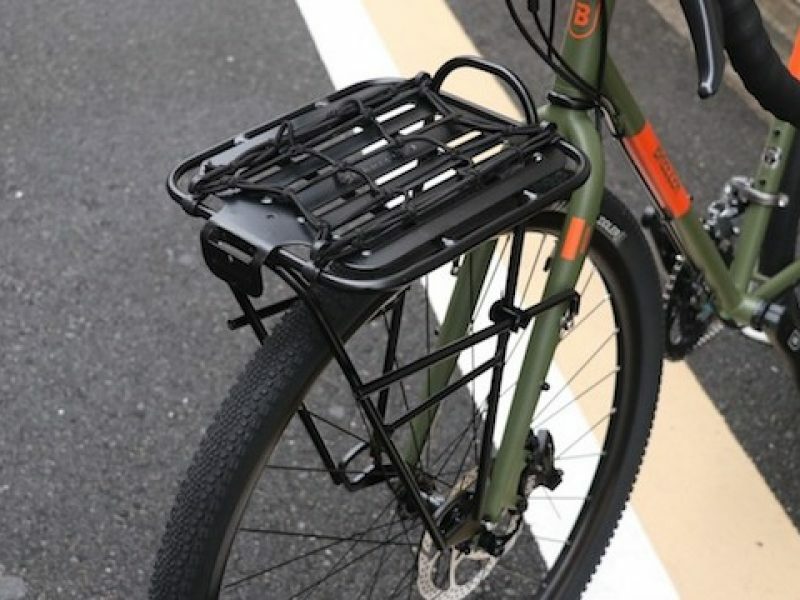 Built for quick trips around town, the Bootlegger front bike Rack will turn your bike into an errand running machine. The porteur style Bootlegger front bike rack is constructed of T-6061 aluminum, has a stamped top deck and features Blackburn universal mounting for easy installation. The top deck also has the perfect dimensions for a case of your preferred beverage. Integrated bottle opener at your service. 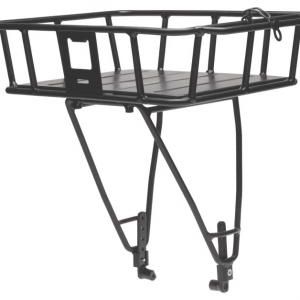 Cargo Net – Keeps your groceries and gear in place. Our mounting hardware is designed to easily attach using braze-ons, brake boss’ or p-clamps. 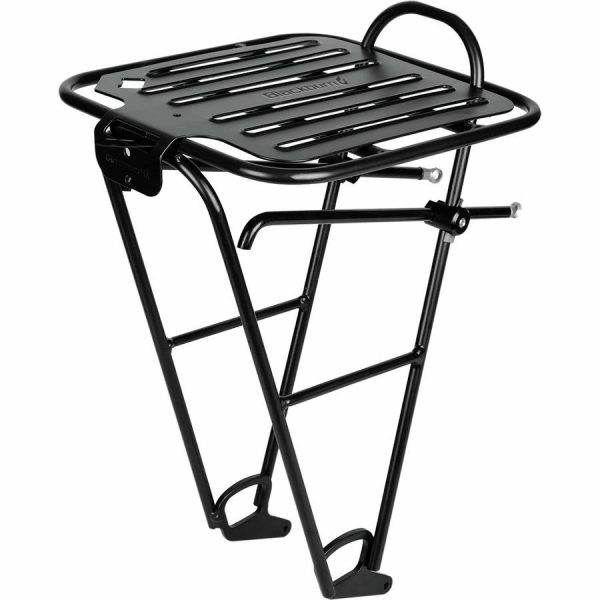 The unique design allows the attachment to swivel and work at odd angles … making it fit on nearly any bike. A great point of attachment for your front or rear light … compatible with most Blackburn and other brand’s lights. 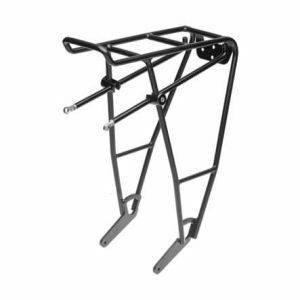 This solid piece of aluminum adds strength to the rack, but also acts as an integrated fender. This new piece from Blackburn is a no brainer if you are one of those who enjoy hopping around town on your bike. 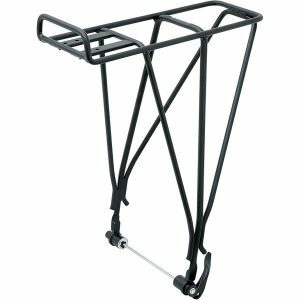 This great front bike rack is not limited by weight or volume like most baskets, just strap your cargo with the included bungee net and go have some fun!